Cana Communities is a Sydney charity that has been helping people who are homeless and suffering from illness and addiction since 1975. Cana is also well-known for the products produced on its farm – the popular gift packs are sold to the public and the money goes back into supporting its services. Christmas is Cana’s busiest time of year, but with demand growing for its products, like its festive season hamper, it was facing a dilemma – the kitchen could not cope, curtailing its all-important fundraising drive. That’s when the PAYCE Foundation stepped in to help solve the problem with a win-win solution. PAYCE Foundation Executive Officer Andrea Comastri said Cana does wonderful work and we could see that they were facing a real challenge. 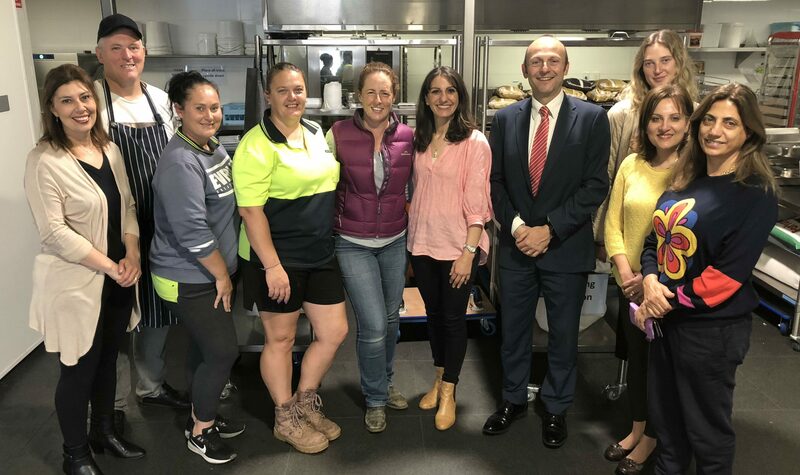 “The PAYCE Foundation is also a supporter of another charity, St Merkorious, that serves about 2000 meals per week to people who are disadvantaged, refugees and newly arrived migrants” he said. “Serving that many people, St Merkorious has a sizeable industrial kitchen. “Fortunately, St Merkorious also saw the merit in Cana’s work and were happy to provide access to their kitchen for two days a week,” Mr Comastri said. The PAYCE Foundation made a $5000 donation to each charity to assist with the project. “This is great example of collaboration between organisations committed to making a difference and we are looking forward to continue to partner with both Cana and St.Merkorious in future.” Mr Comastri said.